Let’s face it, when you are at Walt Disney World, you want to experience it all. I know that is the way I am. Despite being Disney Vacation Club members and the fact that we get to go more often than most, we still spend long days in the parks. We are usually running around getting as much as we can done, and taking full advantage of the FastPass+ system. Because of this, a lot of our lunches are spent in quick service restaurants. Here are our favorites that we are sure to stop in at every Disney visit. Hit it out of the park with American baseball favorites: hot dogs, corn dog nuggets, French fries, cotton candy and Cracker Jack. You may even catch Jim tickling the ivories to ragtime tunes outside. Soft drinks are also available. My favorite thing to get here is a classic hot dog. 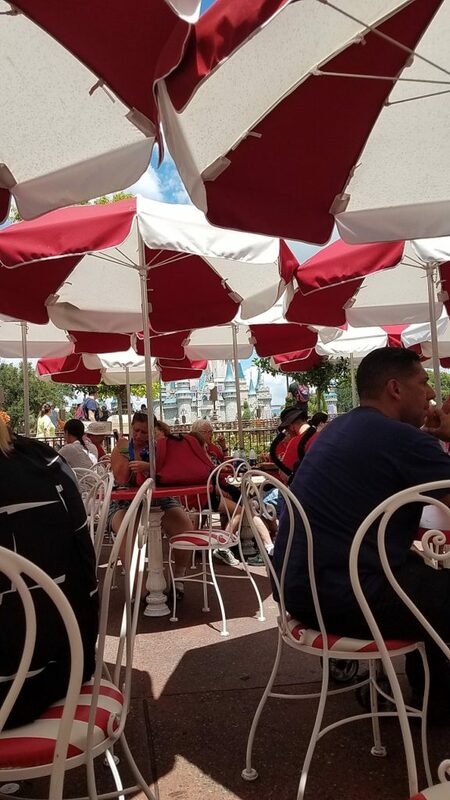 They are delicious here – and the view of Cinderella Castle doesn’t hurt. See the full menu here. Real boys and girls can feast on Italian favorites at this quaint cottage, from the chicken parmesan sandwich and flatbread pizzas to pasta dishes, salads and more. To top off your meal, take a trip to Pleasure Island with a serving of chocolate cake. For some reason, my husband and I always avoided this restaurant. We thought it was going to be a lot of german food and never even set foot in it. During one of our recent trips, we were starving and it was pouring so we popped in to see what they offered. Then we regretted not coming in before because there were tons of great options – and all of them are delicious! 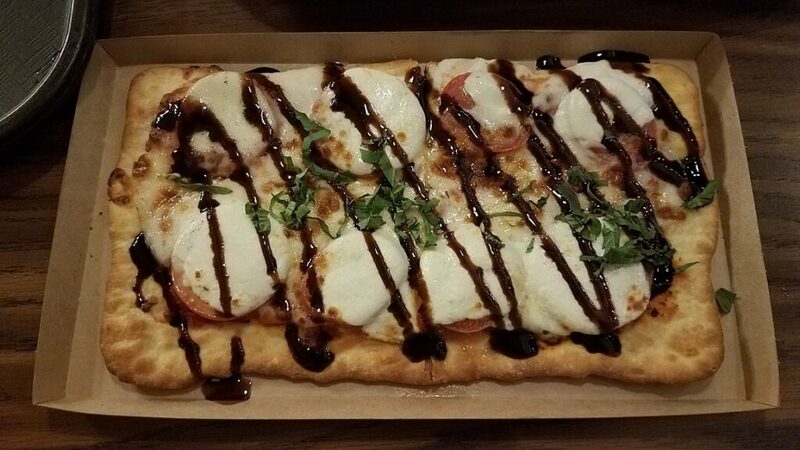 The flatbread pizzas are all amazing – the Caprese topping the list for me. If you are lucky, you can grab a seat overlooking the It’s A Small World ride. See the full menu here. Enjoy a delicious, expeditious lunch in a majestic setting – Mrs. Potts insists! Indulge your midday palate with a béchamel-smothered Croque Monsieur sandwich served with pommes frites, or a freshly refreshing Tuna Niçoise Salad. Other lunch favorites include Vegetable Quiche, a turkey baguette and the chef’s favorite – a 8-hour “singing” Braised Pork! Mini-beasts can enjoy popular kids’ menu choices like Mickey Meatloaf and Whole-Grain Macaroni. The carved turkey sandwich is my favorite lunch here. And of course, try the grey stuff! See the full menu here. Explore a galaxy of hot food choices, from BBQ pork sandwiches and chicken breast nuggets to Angus burgers and hot dogs. Customize your meal at the topping bar before finding a seat and enjoying the alien entertainment from Sonny Eclipse! If you are looking for a great burger or BBQ pork sandwich – this is the place. For me, no Disney trip is complete without a burger from Cosmic Ray’s! See the full menu here. Stop on by for pizza, a meatball sub or antipasto salad at this friendly neighborhood joint run by Rizzo, the wise-cracking Muppet. This place was at the top of our list when it was Pizza Planet – and it still is. The decor may of changed, but the food is just as good. 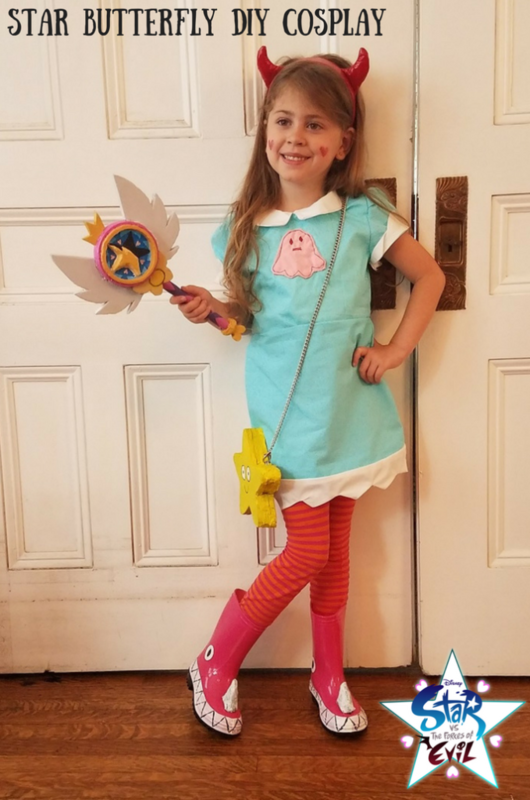 Maybe even better. There is nothing like a delicious salad and pizza to refuel you on a Disney day! See the full menu here. 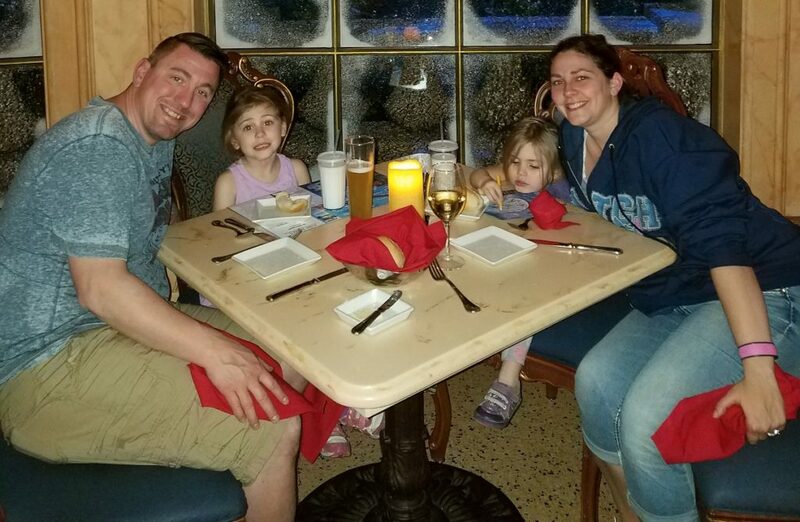 We always try to squeeze in at least four or five sit down meals during our busy Disney vacations. We like to play things by ear when we can, but when it comes to planning dinners, that is a hard thing to do. You can book meals starting at 180 days out, and that is something I highly recommend you do. Feast on French-inspired fare in one of our elaborately themed rooms – straight out of the beloved Disney classic! Be Our Guest Restaurant is an expansive and elegant 550-seat dining destination located at the foot of Beast’s Castle in Fantasyland. Yup, this one made both lists. On more than one trip, we have had lunch here, which is a quick service meal, and dinner, which is a sit down meal. It tops both of our lists – that is how good it is. See the full menu here. 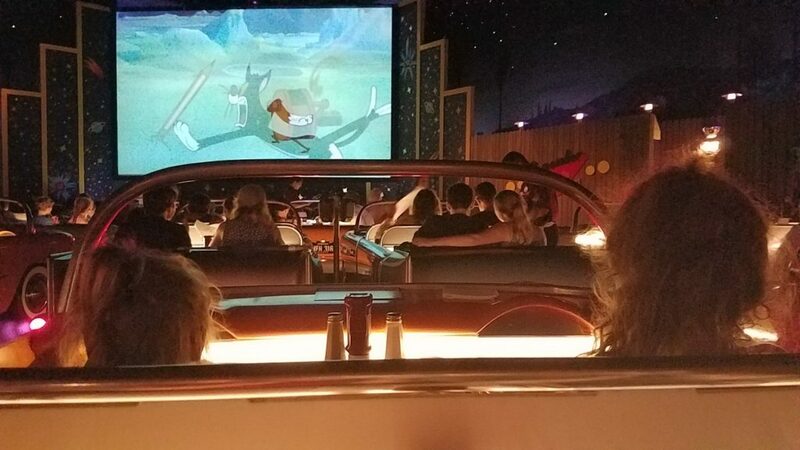 Do dinner and a show ’50s-style at this drive-in “theater,” featuring all-American cuisine and sci-fi movie clips. Whet your appetite with provocative previews like Fried Dill Pickles. For your main feature, delicious sandwiches are in orbit, such as the Oven-roasted Turkey Sandwich, The Reuben and the Vegetarian Falafel Burger. 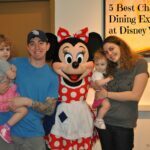 My daughters think that this is one of the funnest places to eat at Walt Disney World – and I don’t disagree with them! See the full menu here. Visit Chip ‘n’ Dale and their Disney pals as you dig into family-style dining and revolve around vibrant views from Living with the Land. Chip ‘n’ Dale’s Harvest Feast offers Character Dining for breakfast, lunch and dinner! Bring your camera and autograph books to capture the merriment of up-close Character greetings with Chip, Dale and other favorite Disney Characters! 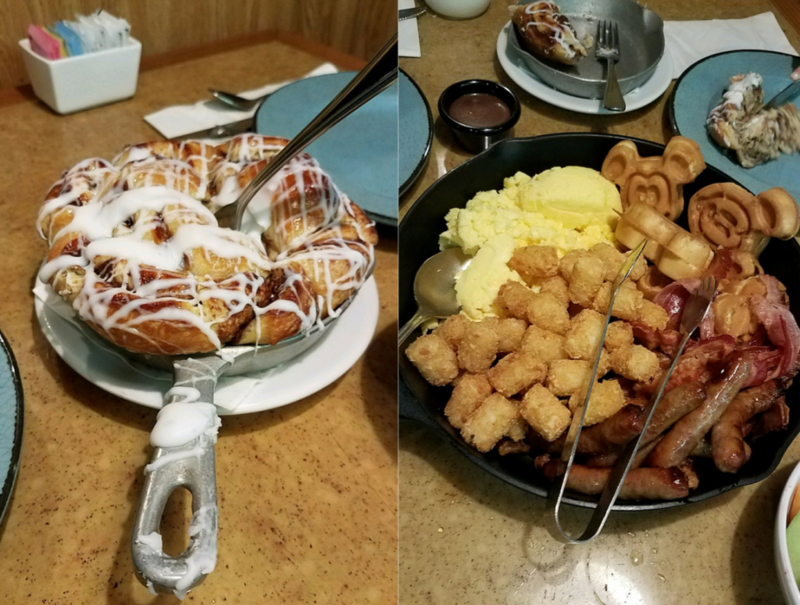 This is hands down our favorite breakfast at Walt Disney World, and is a great way to fuel up for a full day! See the full menu here. Checked curtains, overhead string lights, hanging foodstuffs, and walls crowded with Mama’s eclectic mementos transform this former backlot warehouse into a cozy and inviting dining space. The same scrumptious menu is served for lunch and dinner. 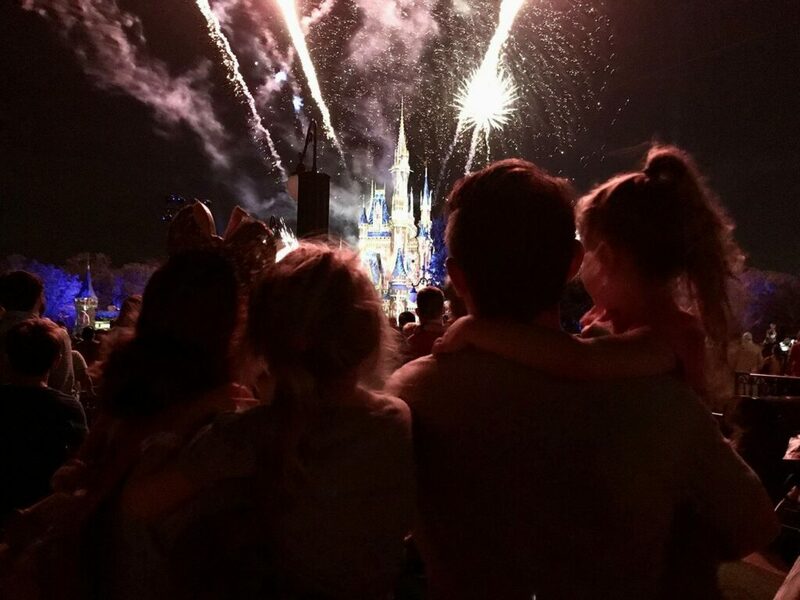 Our last Disney trip, we decided to try some place new – and this was it. We were blown away by how delicious all of our meals were, that we have booked it again for our next visit. And the one after that. See the full menu here. Under thatched roofs, savor vibrant flavors from over 50 African countries—along with favorite American classics. Greet your day with a cup of full-bodied Kenyan AA coffee, tropical juice and a bountiful breakfast buffet. Selections may include made-to-order omelets, French toast, African pastries, carved ham, fresh fruit and corn beef bobotie—a type of South African quiche. We have enjoyed breakfast here a few times, and always come back for more. Everything is delicious! See the full menu here. Where is your favorite place to eat at WDW? There are so many places to eat at WDW. One of my faves is Be Our Guest Restaurant but the Crystal Palace is my all time fave. 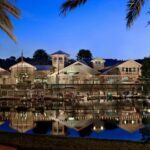 There are some really world class dining options at WDW and I hope to try all of them. Love this! Thank you Tessa!! 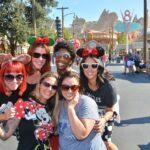 This is wonderful advice for those who haven't been to Disney or it has been a few years. All the food looks wonderful of course. I so agree with you on these. I've eaten at most of them. My favorite is Be Our Guest. Yum. I have never had a bad meal there. I actually find that Cosmic Ray's is over priced and unappetizing. We've tried there several times, and each time was left with disappoint. I think that the Taco stand in Frontierland is amazing! 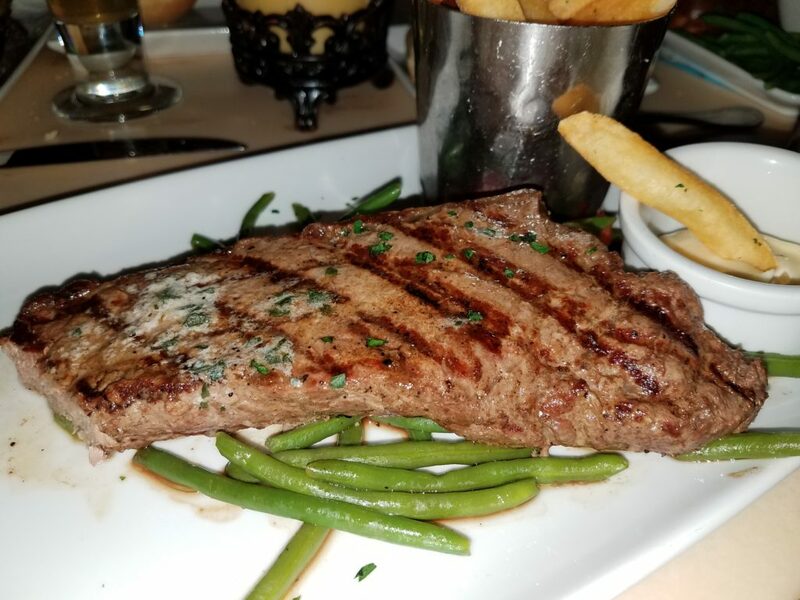 We also love the fish and chips in Epcot, and Le Celliar Steakhouse. 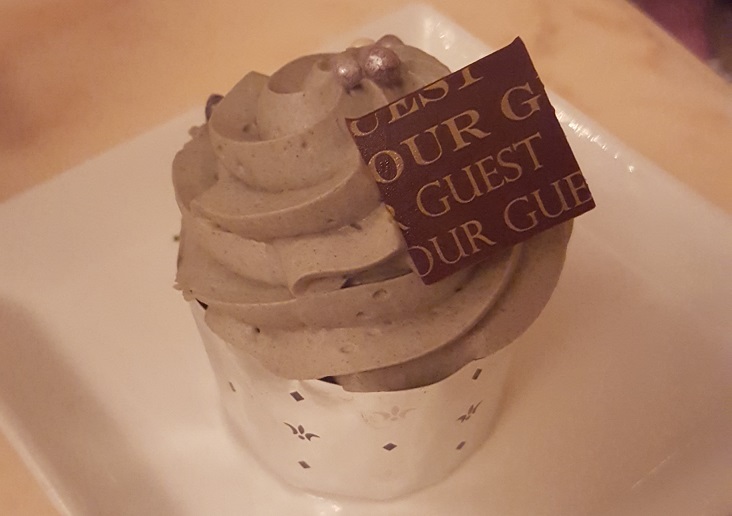 The Be Our Guest restaurant is definitely a Disney must. I need to check out Boma, I have never been. When I went on my honeymoon we stayed at the Animal Kingdom Lodge and had breakfast at Boma a bunch of morning, so good! My kids love Sci-Fi, we went on May the 4th and it was all Star Wars themed. There's so many great places to eat, it's hard to pick favorites. I haven't been to Disney World in so long! All these tasty restaurants make me want to get back there right away. Finding family friendly restaurants is always important to us when traveling with the kids. 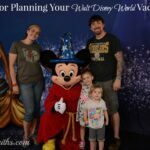 We will be heading to Disney in a few months so this post is helpful. We got to try one of these places out when we were there last. Yuuuuummm!!! We will have to add the others to the list. It's been few years since we have been to Disney World. When we went, we didn't eat inside though, I wish we have tried some. There are so many places to eat at Disney! I would love to go to see Belle at Be Our Guest! This is great to know before you go, so you aren't wasting time trying to find it while you are there. It is really dangerous when you are overly hungry and haven't made plans to get something sit down! I am such a Disney noob, I wouldn't even know where to start. I'm sure no matter where we dine, it will be a magical experience. Thanks for breaking it down - so helpfuL! Thanks for these tips on where to get great meals at Disney. We've been to Disney a few times and it was always a great experience. It has been a few years since the last one and I guess it is about time to plan for another trip!